Improve your off piste technique with an instructor, or discover untouched terrain with a high mountain guide. 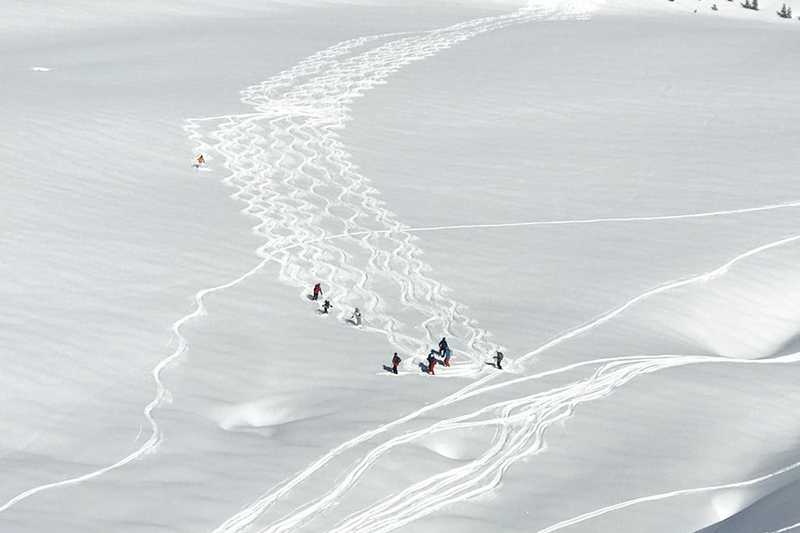 Whether you prefer to earn your fresh tracks by ski touring into the wilderness or you want a VIP powder day with the help of a helicopter, a ZigZag expert is ready to get you where you want to go in safety and style. Security is our strength and our team is made up of highly respected local professionals who grew up in the Alps and know them intimately. You’ll feel secure guided and tutored off piste with a highly trained English speaking local professional. Every time we take you off piste, we’ll equip you with up-to-date avalanche equipment including an ARVA avalanche victim detector, probe, shovel and backpack. Education saves lives so we also provide safety equipment training so you know how to deal with an emergency off piste. Off piste tuition is suitable for intermediate and advanced skiers who would like to improve their technique in powder. Whether you’re venturing off piste for the first time or you have years of experience, our instructors are here to improve your fluidity, control and confidence off piste. Off piste guidance is suitable for those who are already able to ski confidently off piste and who are interested in exploring new, exciting off piste runs. Our high mountain guides are hugely experienced and will take you to find the best snow that’s available, so you’re guaranteed a great day out. Please note that high mountain guides do not provide technical instruction, they are there to guide, advise and entertain, not to teach.